A point often overlooked about social media success is having a consistent flow of content. It is equally important to share that content at just the right time when your audience is most active. A good Social Media scheduling tool can be the difference in success with social media. A HubSpot survey found that business and publishers that schedule social media updates generate 3 times as much activity compared to those who don’t schedule updates. Without proper scheduling, updates are compressed to only when you are online, causing you to miss visitors or potential customers who are active at entirely different times of day than you. Scheduling content for social media can be a productivity aid if used smartly. Scheduling content offers the flexibility to plan your message in advance and saves hours of time every week. Plan to plan: If you find you don’t have time to post to your channels every day, take 30 minutes at the start of the week to schedule updates. Set-up a reminder in your personal calendar to fill your content queue. 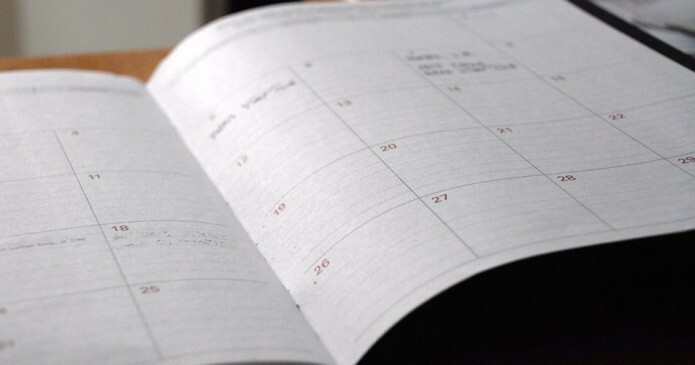 Plan to plan – but not too far out: Scheduling does make you more productive however there will be some unforeseen tragedies and unfortunate events that occur. You want to avoid a social media faux pas and risk harming your reputation by posting inappropriate content. We suggest to plan your schedule 10 days out max to limit your risk. This also provides enough time to jump on relevant conversations that might start. Share during office hours: Depending upon your business and the type of content you publish, share content when you are available to respond to questions from your audience.This is particularly important for special promotions or time sensitive information. You want to be available to interact with your audience and answer questions. Consider different time zones: Is your audience in multiple time zones? Create multiple schedules to meet the expectations of audiences located in different time zones. Consider having timely content scheduled in each time zone to service customers during their optimal reading times. Schedule during prime times: The best times to post on social media is definitely a hot topic. Generally speaking, the schedule below reflects the peak time for each network. However, you know your audience best. You will have to find the peak times of day that have potential for the greatest impact from your posts. Use the schedule below as a general but good guideline. Facebook – between 10 am and 4pm, Monday through Thursday. Twitter – between 1pm and 3pm, Monday through Thursday. LinkedIn – focus on posting before and after business hours, 7 am to 9 am and 5pm to 6pm, Tuesday through Thursday. Google+ – 9am to 11am during your work week. Pinterest – peak hours 2pm to 4pm and 8pm to 1am, on weekdays. The best time to pin items on Pinterest is on Saturday morning. Scheduling posts is a not a set-it-and-forget-it task. Rather, set it and nurture it. Think of it like a garden. Your garden doesn’t need your constant attention but it does need weekly watering and weekly visits to insure all is well. We might be slightly biased but we do believe we have the best social media media scheduling tool. Why you ask? Because we have the perfect amount of automation for your social media needs. Auto-scheduling social media updates is how business savvy professionals build time back into their day. Queue, by dlvr.it, is a smart social media scheduling tool that works as hard as you do. It delivers a consistent flow of perfectly timed content throughout the day to keep your social media audience engaged. Queue manages your social feeds while you are out to lunch, on vacation or simply not available. Schedule your blog content, promotions, and company news for delivery at predefined times and maintain a consistent presence across your social accounts. Conversation: Engage fans and followers before you wake up, while you’re at lunch and anytime you cannot be in front of your computer. Localization & Globalization: Keep your local or global audience involved when they are most likely to click or share. 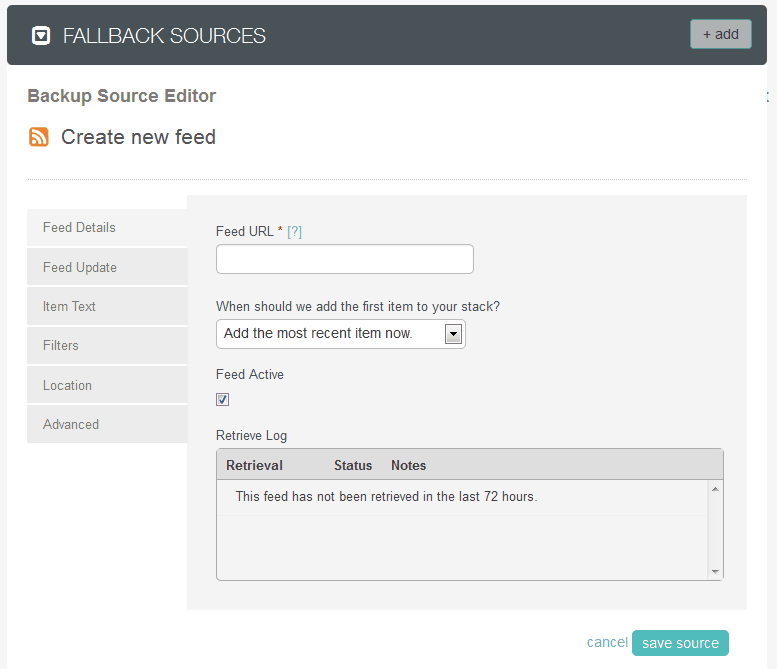 Use an RSS feed as a backup content source for those times when you forget to manually add content to Queue. With an optimized continuous stream of content you will increase traffic, engagement and brand recognition – even when your queue runs dry. Think of Queue as your personal assistant. Queue shares content when you cannot. In as little as 10 minutes per day, you can load Queue and be on your way to growing your fan base, and activate readers. Find content anywhere. Use the browser plugins to share images, stories or news while on your mobile, tablet, browser, or waiting in line for your morning cup of coffee. Queue it up or share instantly. The browser extension for Queue quietly sits tucked away in your browser ready when you are. Right click on any webpage or image, highlight text or click the ‘d’ icon in your browser to activate Queue. It is a super convenient way to share great content with your fans and followers. 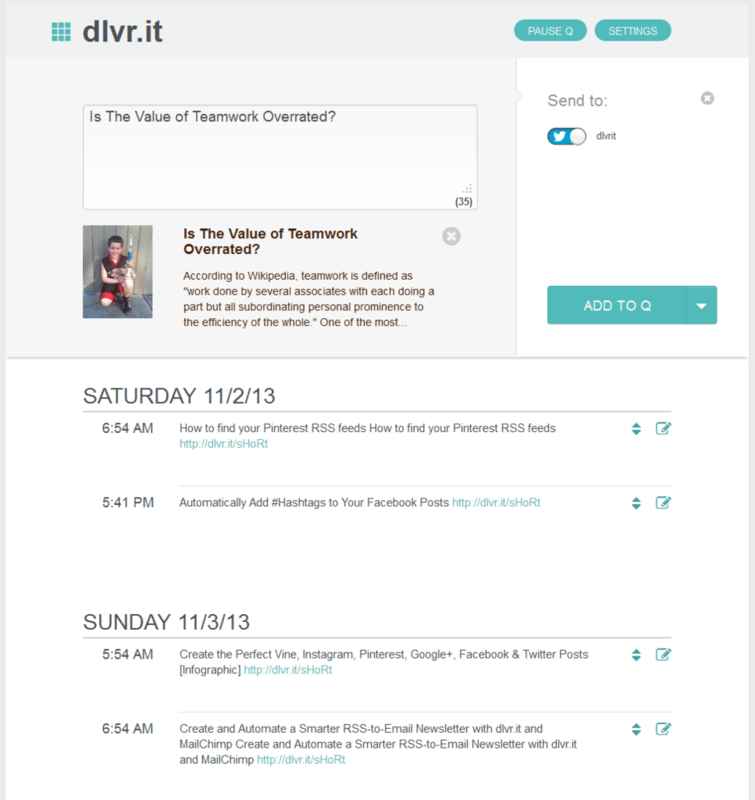 Get started by creating a dlvr.it account or just log in and start scheduling content immediately. And did we mention Queue is FREE*. *advanced features of Q require a Pro and above account. I started using Q and understand basically how it works. I currently have an RSS feed that is automatically feeding my social media pages in place before Q became available. It was set to trickle news items. Should I change settings on that “feed” now that Q is setup? or will they work together “smartly”? Thanks for using Q! The difference between trickle and Q is this. Trickle drips content but NOT at predefined or optimized times. With Q you can set the exact times you want to send content. dlvr.it also provides an optimized dripping of the content but understanding when content is most likely to get read and clicked. How does Q compare with hootsuite’s scheduler? Can we bulk import from a text file? We have a lot of features planned for Q including bulk import from a text file. Stay tuned.